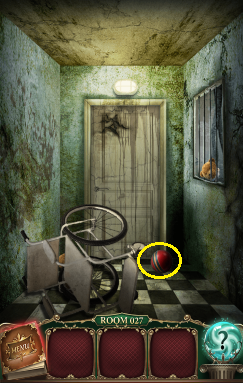 Tap ball to make ghost appear. Slide wheelchair to left. 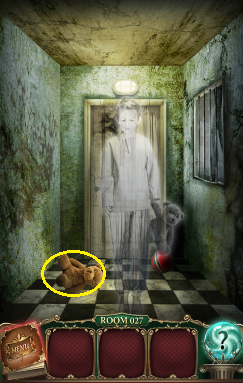 Pick up teddy bear head and attach to body, then give to ghost.